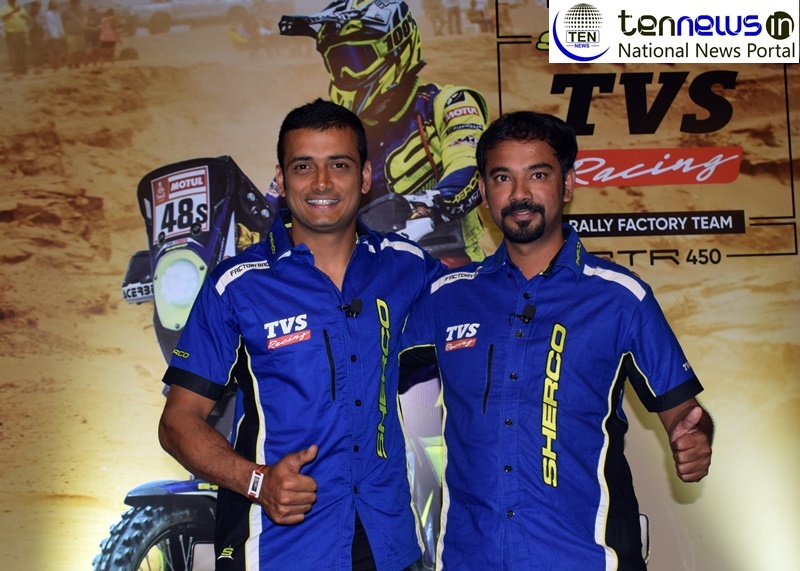 New Delhi : After the successful completion of Dakar 2019, Sherco Tvs Rally Factory Team’s Aravind KP has already set his sight on the next edition of the rally and is gearing up to better his performance. KP is the only Indian to finish the 2019 edition of Dakar at 37th position. This is KP’s third appearance at Dakar and this successful attempt to finish the rally has brought glory to the team and the country. The 2019 edition of Dakar has been touted as one of the toughest in the history of the rally and only 55% of the bikes completed the gruesome rally this year. The 11-day rally saw riders battle with fesh fesh, sand dunes, beach and rocks with complex navigation and extreme weather at every stage. After a steady start in the early stages, Aravind KP picked up his pace in the second half of the rally and climbed up the rankings. “Despite a few crashes during the intermediate stages, he fought hard and got to the finish line. KP faced a tricky situation in the penultimate stage of Dakar, when his bike broke down in the sand dunes. He sought help from some spectators and reached the finish line defying all odds”, shared KP while interacting with Ten News.